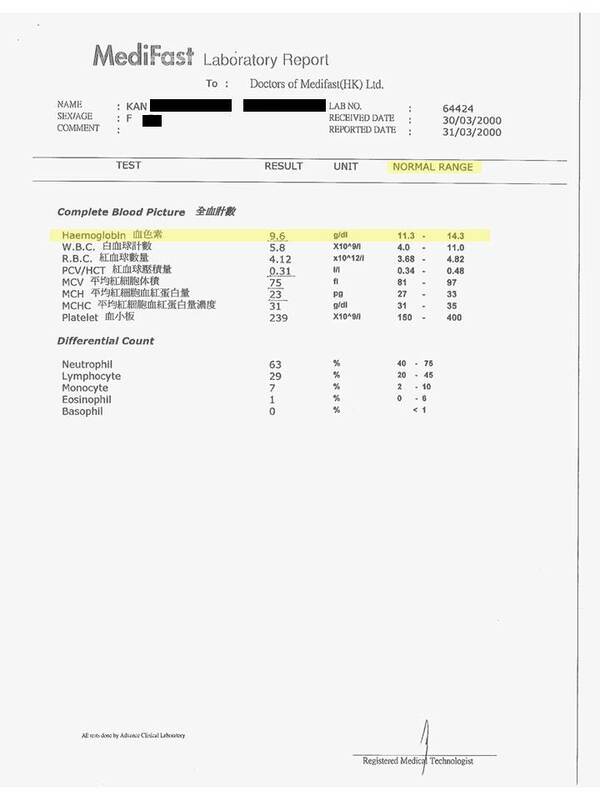 Feedback & reports of Ms Kan - CeresHealth (HK) Ltd. 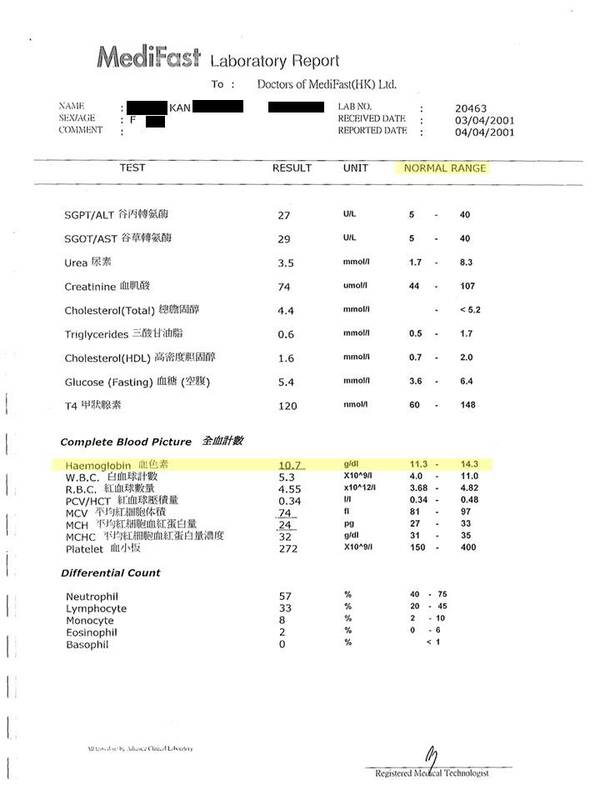 The reports shown below were provided by one of our clients, Ms. Kan. 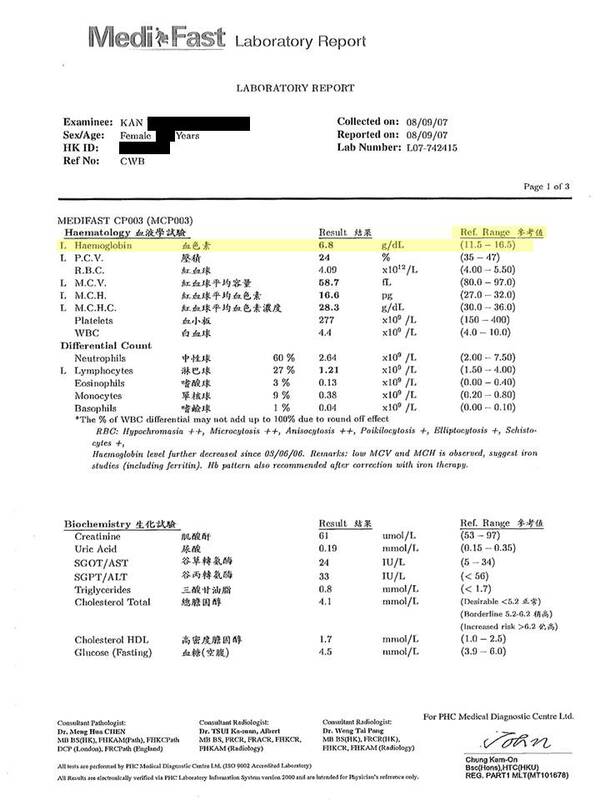 This case is illustrated under "ABOUT PRODUCT" as one of the three most representative cases that happened in Hong Kong. 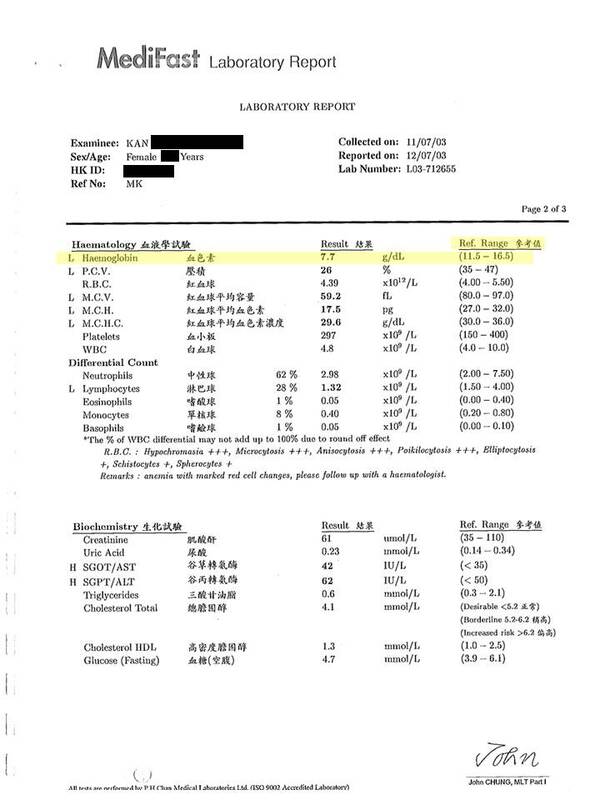 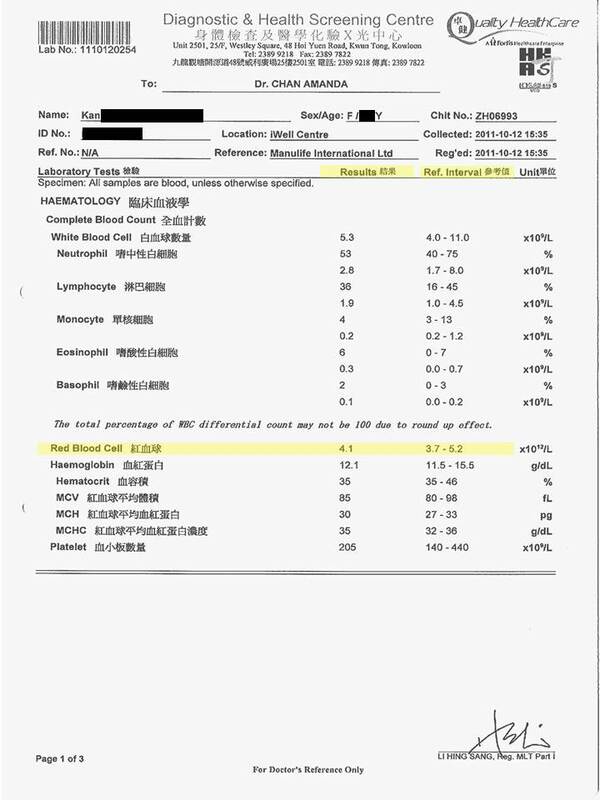 The first few blood test reports revealed that our client, Ms. Kan used to be a anaemia patient for years; and the last one that passed the anaemia standard was obtained only after taking vigorHealth for 3 months. 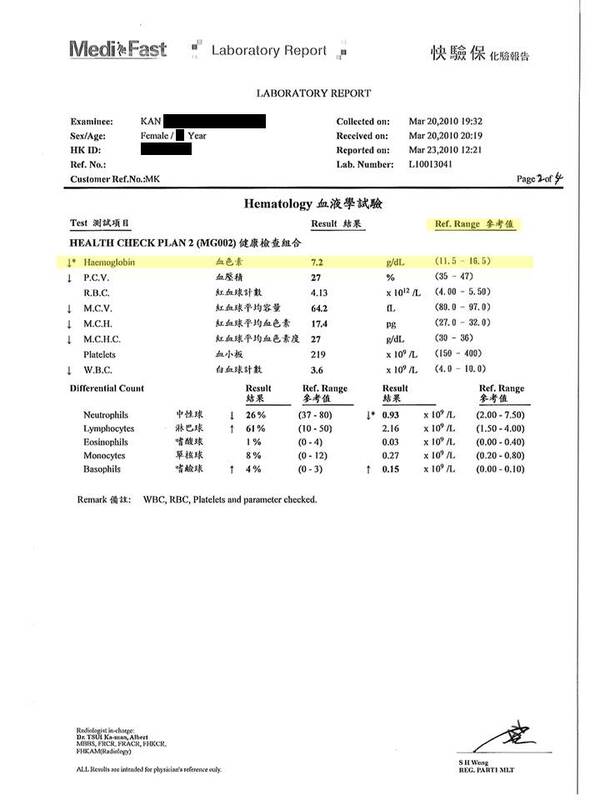 Although we might view this as an isolated case only, it vividly illustrated the outstanding body adjustment ability of vigorHealth, as one of the typical successful case of our product.